One thing to mention about the WaterRower that's been missed is an alarming design flaw: exposed belts and pulleys pose a safety hazard to kids and pets. My 2 y.o. toddler son ended up in the ER and nearly lost his finger. I was keen to use the machine and wasn't thinking of his proximity and curiosity. Machine comes with no safety warnings to remind parents either. No such hazard with the Concept 2. "This is a great post. 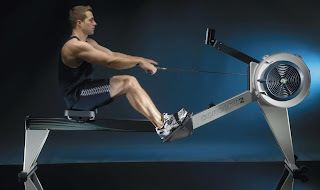 I read this post and really like this post.awesome for me:waterrower versus concept 2great exercise machine for health"